Volkswagen e-Up! Forum • View topic - Green Car Reports drives, and loves!, the e-Up! Green Car Reports drives, and loves!, the e-Up! Post subject: Green Car Reports drives, and loves!, the e-Up! 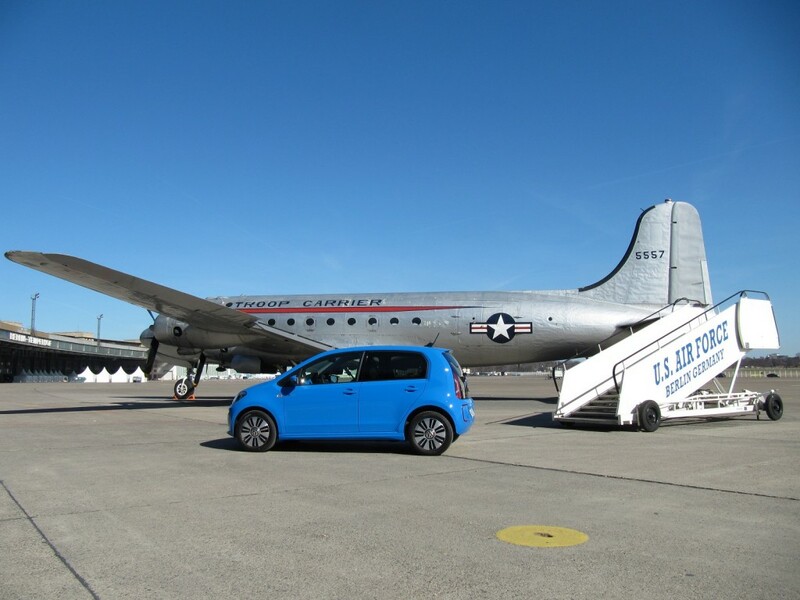 Green Car Reports went to Berlin, and drove 3 electric vehicles. Their favorite was the Volkswagen e-Up! electric city car. They said it is "small, rollerskate-agile, and performs well enough that it would be our preferred vehicle in any crowded city." Comparing it to the e-Golf, for those who live in parts of the world where they will have an option between either electric vehicle, the e-Up! 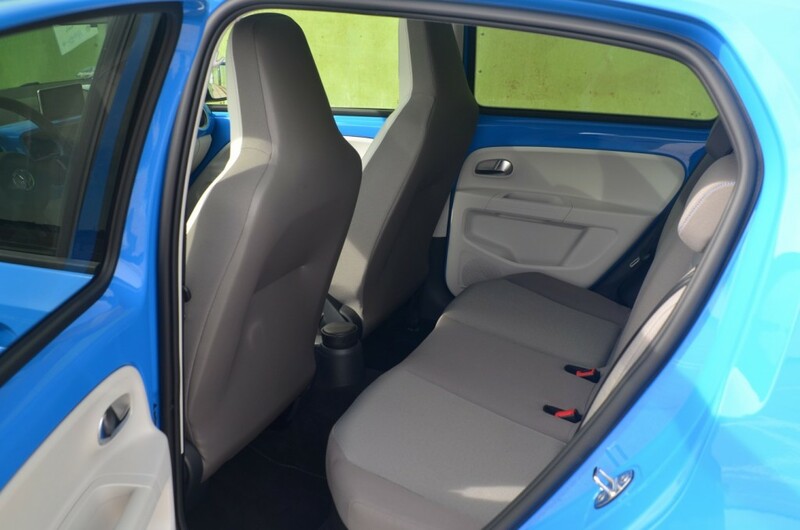 has a smaller battery pack and a smaller engine, but because of it's decreased size and weight, handling and performance felt the same as in the electric Golf. Along with the Volkswagen Golf GTE plug-in hybrid, that makes three separate plug-in models--an impressive opening salvo from one of the three largest carmakers in the world. And they're all good in their own way, although we look forward to driving a production Golf GTE, since the development prototype we drove was far from smooth in blending its various sources of power. But the e-Golf and e-Up are both very good for first production electric cars. If Volkswagen is committed to marketing them aggressively at reasonable prices--and that's a big "if"--we think they should do well in their various markets. 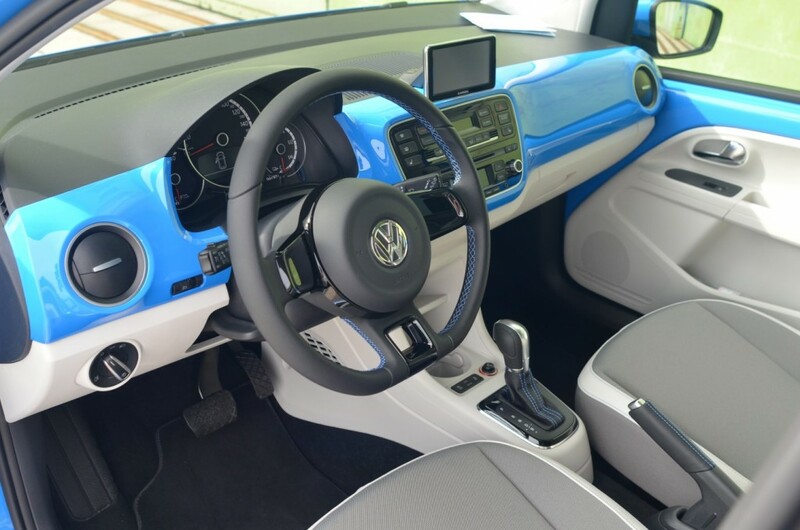 Here are interesting images of the Volkswagen electric Up! in front of a US military plane (go figure).